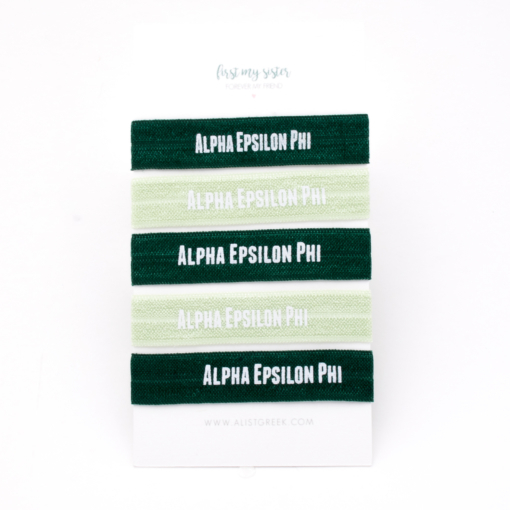 Cute Alpha Epsilon Phi elastic hair ties/bracelets – 5 pack includes 3 dark green and 2 light green. 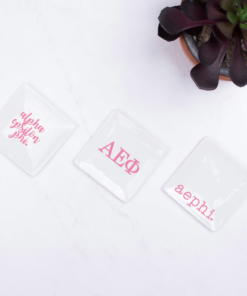 Makes a great bid day gift, big/lil gift or gift to sisters and chapter! The elastic is soft and stretchy and will not pull or crease your hair. 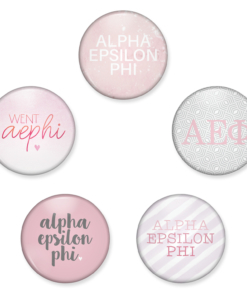 They are also fun as a bracelet! Hair ties are approximately 3 inches. Each hair tie is handmade, so no two are exactly alike. Colors may vary slightly due to differences in computer screen, lighting, etc.